My family loves biographies. We really enjoy getting to know people from the past that have changed the world we live in no matter how big or small their accomplishments. 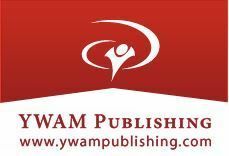 YWAM Publishing offers a wide variety of biographies and we just finished reading Heroes of History Milton Hershey: More Than Chocolate. Amber and Delaney also used the Digital Unit Study to go along with the book. A couple of years ago we reviewed the Heroes of History book George Washington and unit study & my girls had to have a tea party like Martha Washington. 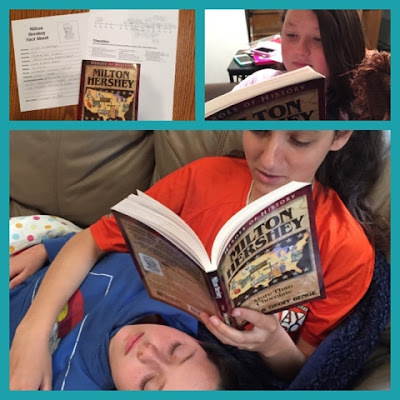 This time when I showed my girls the choices to review they chose Milton Hershey. Why? They all three said they would have to sample some of his product to make this a well rounded study. The Milton Hershey book was written by Janet & Geoff Benge. It is a 192 page softcover book that is written in conversational style. It starts out with a young Milton and shows us the dedication and hard work this man put into his work. Although he only had a fourth grade education and everyone thought he would be a failure he didn't give up. His determination to perfect his sweets finally paid off. After succeeding in his endeavor he used his wealth to help others. The Digital Unit Study can be used in homeschool, classroom, or small groups. It is divided into eight chapters and includes history, geography, essay writing, creative writing, reading comprehension, public speaking, drama, and art. 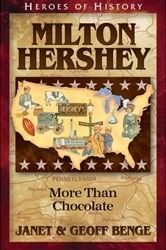 There is also an appendix that includes other books and resources to further the study of Milton Hershey. Chapter 1~ Key Quotes - There are seven quotes you can study the meaning of or they can be used for memorization and penmanship. Chapter 2~ Display Corner- This chapter suggests things you may want to collect to create a display of things relating to Milton Hershey's life. Chapter 3~ Chapter Questions- There are six questions for each chapter of the book. There is a vocabulary questions, factual questions, reading comprehension questions, and open-ended questions. Chapter 4~ Student Explorations- This chapter contains the writing assignments, essay questions, projects, and arts & crafts. 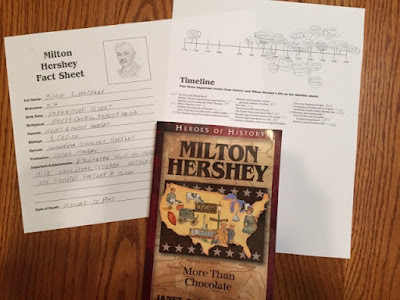 Chapter 5~ Community Links~ Examples of field trips that could relate to Milton Hershey are included in this chapter as well as some tips on getting the most out of a field trip. Chapter 6~ Social Studies- Here we use terms and vocabulary, utilize map skills, discuss Milton's journeys, and the places mentioned in the book. Chapter 7~ Related Themes to Explore- This section shows topics that are related to Milton Hershey's life. Utilizing all of these could expand the study tremendously. Chapter 8~ Culminating Event - This chapter gives ideas for a final project to finish up the unit study. I was originally planning on reading the book out loud and then having the girls use the study guide. Well, I was busy the first few days after receiving the book and the girls didn't want to wait. Amber and Delaney both read the book and completed the study guide on their own. Alaina wanted to read it also, but Amber wouldn't give it to her so Alaina made her read it out loud to her. We knew very little about Milton or how Hershey was started and we were very fascinated by his life and determination. The girls enjoyed working on the unit study. They really like the maps and the timeline that is included because it helps them to remember the order of things better and they can visually see where Milton's life unfolds. This book and unit study is recommended for ages 10+ but Amber and Delaney both wanted to read it. It didn't take them very long to finish reading it and to complete the unit study. They both like the way the books are written and they learned a lot about Milton. It has also sparked their curiosity and are utilizing the book and resource list that is included to learn more about Milton and chocolate. Even though the reading level is below what my older two girls read they both wanted to read this one. They like the Heroes of History books and they have even read a few just for fun.